Of all the professions you would choose which might value independent and credible reviews, you would be forgiven for thinking the financial services industry, struggling under the dual burdens of massive regulatory cost and negative publicity about the quality of advice given by some of the major players, would be in the forefront. 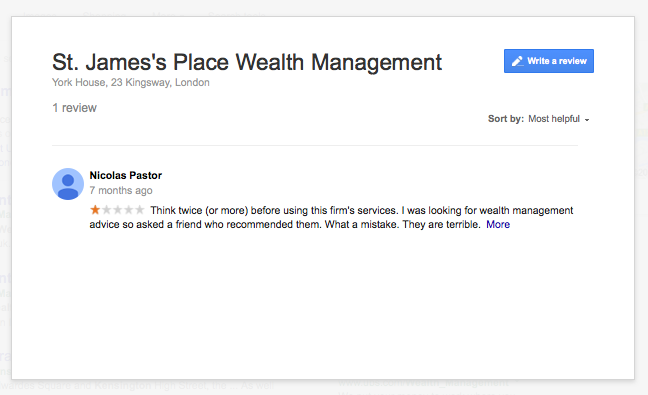 How many potential clients has Nicolas Pastor deflected from St James's Place in the last seven months? 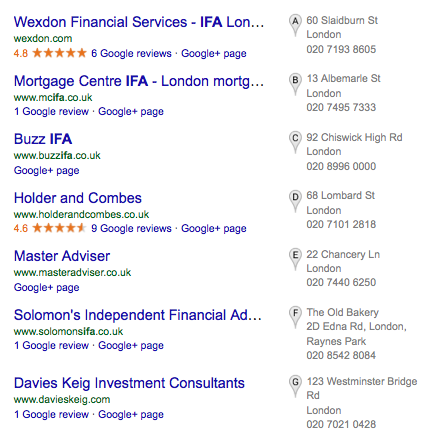 Wexdon look quite impressive, until you click through and realise that only one client has reviewed the past 12 months. 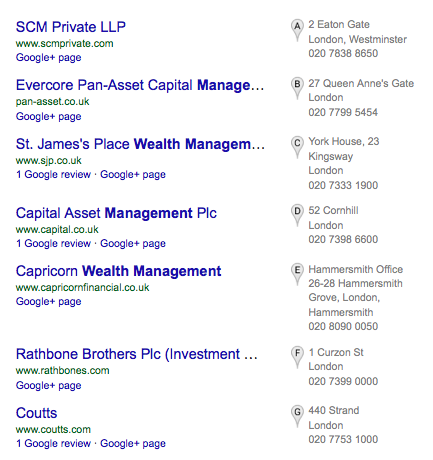 Holder & Combes had a blitz in 2013 and only one review since. 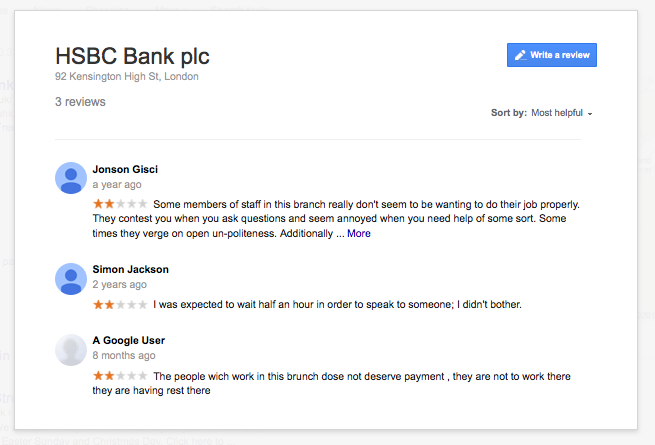 One reason to have reviews on Google is to confirm to potential clients that you are the kind of firm they need: not much help here then. Obviously so awash with business that they don't care at all! These businesses are not engaging with their customers because either a) they don't care or b) they are afraid. We think it's the latter, after all, just one negative review can do serious harm, so why run the risk of inadvertently inviting it? The solution is to operate Dialogue with the ultimate aim of getting critical mass on Google. Dialogue will first get reviews to the business where negatives can be managed in private and then reviewers can be asked to post to Google. It's working for clients in other professions, it will work for financial services businesses (and, as a bonus, the regulators will love it).